I enjoyed being in a room full of curious scientists, clinicians, and technicians who are driven to learn more about acquired communication disorders. 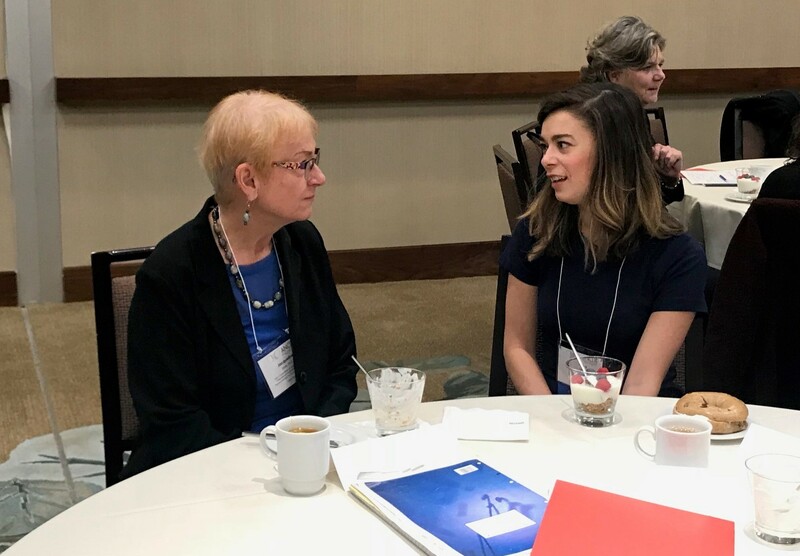 It was inspiring to be surrounded by the authors of textbooks and articles that guide the field of speech-language pathology and new generations of clinical scientists. The opportunity to be introduced to peers and leaders in the field is life changing. Discussing the future of acquired neurogenic communication sciences puts what we learn in the classroom and dissect in lab into humanistic context. It was so fun and rewarding to discuss personal and professional decision-making. Currently, I am working on a qualitative Master’s thesis exploring the experience of persons with aphasia in an intensive comprehensive aphasia program. I collected pre- and post-interviews, which were transcribed to learn more about the cost-benefit utility for people with aphasia of a model that requires significant personal investment. I am interested in this project because it may help scientists understand the perspectives of those who experience speech and language treatment. It is imperative that research collects and disseminates the perspectives of patients who may be more difficult to communicate with.